Imagine drifting off to sleep to the sounds of the southern ocean. Perfectly located for an easy 3 minute stroll to the beach, world class surf breaks and the pub, this spacious character built beach house has stunning ocean views whether relaxing inside by the cosy wood fire or entertaining friends and family on the oversized upper storey balcony. The house comprises 2 master bedrooms and 2 adjacent bedrooms totaling 10 beds upstairs with further beds in the downstairs rumpus room. The upstairs bedrooms are complemented by two fully contained bathrooms with separate toilets. 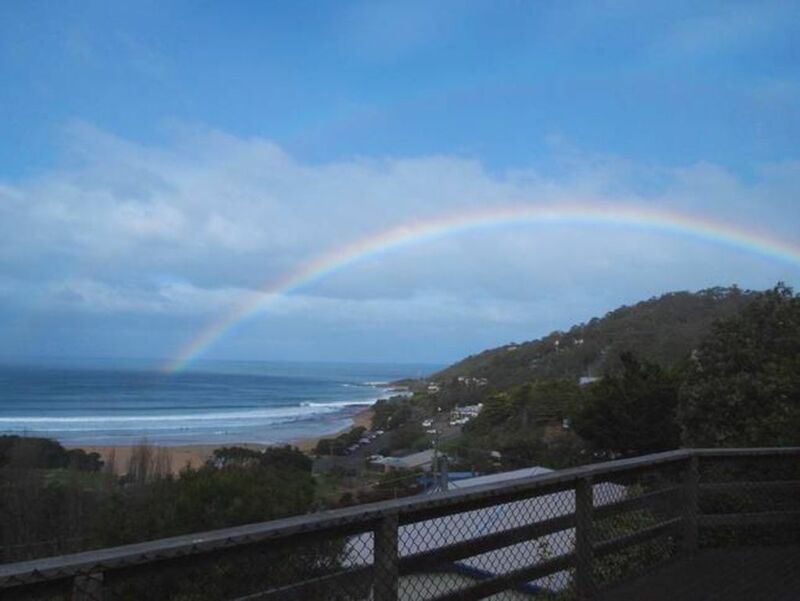 The perfect family holiday destination where you can watch your kids play on the beach from the deck whilst enjoying the tranquility of the Otway eucalypt setting.